With my ever-so-crazy life I’ve been reaching for the simpler things in my closet. 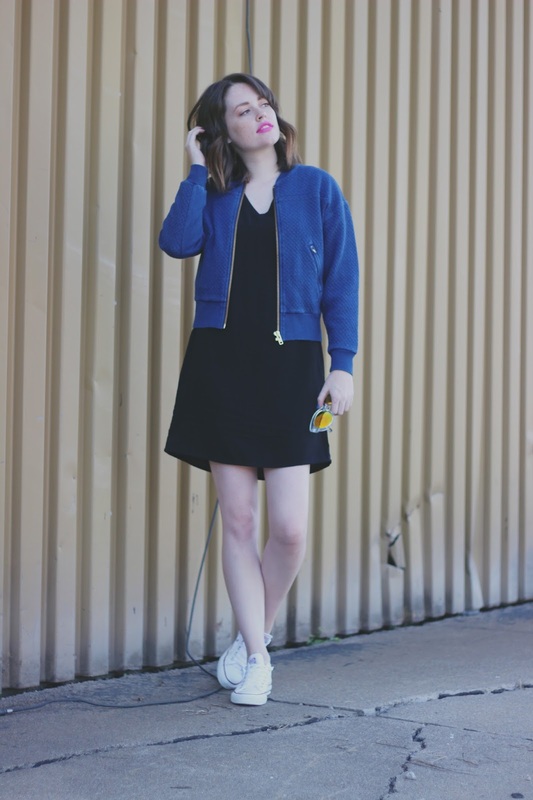 A little black dress is a closet must and the easiest thing to style besides rompers. Not to mention they never go out of style. Throw on a bomber jacket and some sneakers and I feel like my old tomboy self. Yes, I was one of those girls that grew up a tomboy, playing in dirt and playing video games. There definitely is still a large part of me that is that tomboy from the 90’s (as you can tell with my Spice Girls inspired title), but I sure do love a good dress sometimes. A lot of things are changing in my life as of late, some bittersweet and others are new adventures. I’m honestly excited to see where the rest of this year takes me. Cheers to the rest of 2015. "Loving Lately // Fall Preview"